Information on City's Bronx stadium proposal has been slow in recent months, but we may have just been given an unannounced peek into the timeline. Investors holding about $238 million of defaulted tax-exempt bonds used to construct parking garages at Yankee Stadium in New York are set to benefit from a planned land sale for a new soccer stadium at the site. 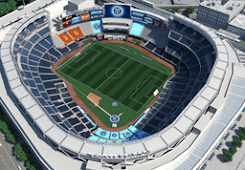 Bondholders have agreed to extend negotiations with the issuer for two years provided that the New York City Football Club enters into an accord by Jan. 3 to purchase a portion of the parking structures, according to a filing with the Municipal Securities Rulemaking Board. The club is a Major League Soccer expansion team. Proceeds of the sale would repay some of the debt, with the remainder to be restructured, said John Miller, who helps manage $90 billion of munis, including some of the parking bonds, as co-head of fixed-income at Nuveen Asset Management LLC in Chicago. Remaining parking facilities would then receive business from baseball games and soccer matches, Miller said. “When the soccer stadium is constructed, you actually have two event centers -- Yankee Stadium and a soccer stadium -- serviced by one parking lot,” Miller said. The bonds, which are repaid with parking revenue, are in default as fans take trains, buses and taxis to see the Major League Baseball team rather than driving to games in the Bronx. 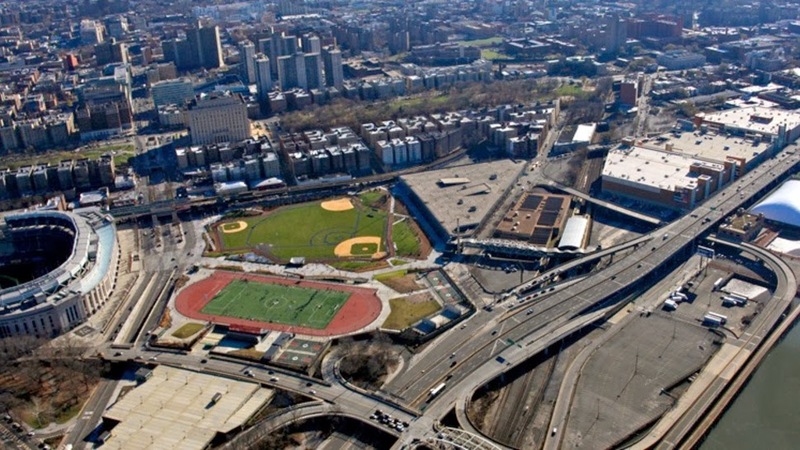 Bronx Parking Development Co. issued tax-exempt bonds in 2007 through New York City’s Industrial Development Agency to build the garages and renovate two others. Bonds due in October 2017 traded at an average price of about 32 cents on the dollar today, according to data compiled by Bloomberg. Edward Moran, a financial adviser for Bronx Parking Development; and Steven Polivy, an attorney representing the company, didn’t return phone messages and e-mails seeking comment. Neither did Ray Orlando, a spokesman for New York’s Office of Management and Budget. Seems to me that they buried the lede, at least from our perspective, in the second paragraph. The new and important information is the January 3 date for the team to sign an agreement with the garage company. That means that, barring an extension of that deadline, we could City publicly commit to the Bronx site in a little over two weeks.